Well, books. 563,000 different ones, in fact. Big books, skinny books, hardbacks, paperbacks. Crime fiction, romance, cats doing funny things, how to grow vegetables on your balcony. 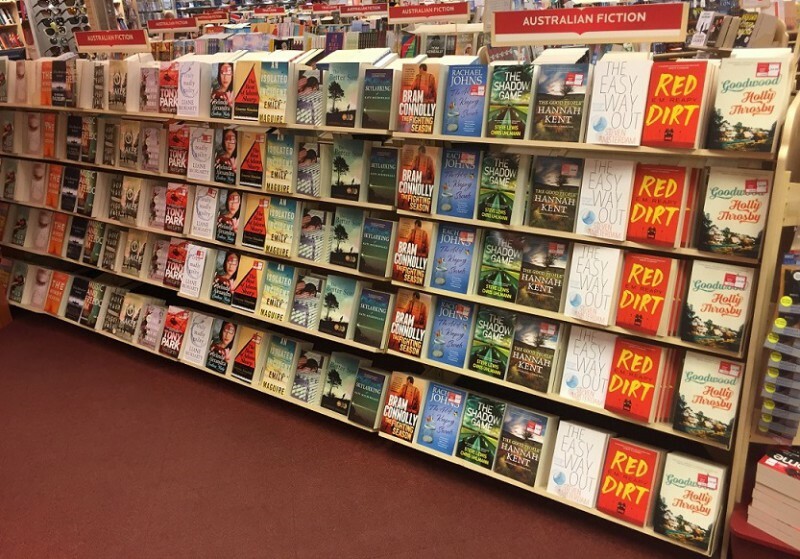 In 2016 there were 563,000 different titles that sold at least one copy in Australia. If you were in a giant warehouse with 563,000 titles, how on earth would you choose one? You wouldn’t – because your local bookshop has done this for you. Seriously. They’ve weeded through these 563,000 and carefully selected for you their best 10,000, or 20,000, or however many they hold. What’s more, if you talk to them they’ll narrow this down to a very easily palatable five or six titles that you’re sure to love. That’s what they do. They curate. They choose the best from the rest. They make your life easier. How boring would it be if you just read the one author for your entire life and never discovered anyone new? (Okay, there may be some exceptions, like Stephen King). But discover is what you do in bookshops. Looking for a new author? Visit your bookshop. Want to buy a book as a gift for someone? Visit your bookshop. Want to get your kids loving books? Visit your bookshop. Want a memoir of Sandy Trout? Sure, for that go to Amazon. Above all – love ya bookshop! –Keiran Rogers, Sales and Marketing Director.